A very early demo, so please be kind! Surviving isn’t just about blowing zombie’s heads off. Depression, starvation, trust issues, loneliness, illness, insanity. These are just some of the things you have to deal with in Project Zomboid. In the meantime, you can buy and receive your username and password, and your support will be massively appreciated, but be aware that you won’t have anything different to the demo to play for a couple of days. However there is so much that the game does that it's really difficult to try and put it in a 2000 character review. I believe the developer is trying to create a proper zombie survival simulator, using the Zombie survival guide as a reference, as opposed to the generic run and gun, hack and slash games that currently are in the zombie theme. - Need to barricade buildings to create shelters/safety, as well as creating barricades in the streets and alleys to create a safe AREA. - Some food can go off/out of date/rotten, which later will be important, but right now you can eat food all the same. - Custom weapons/items by combining items. - Having to AVOID zombies, instead of mow down through them like other games. 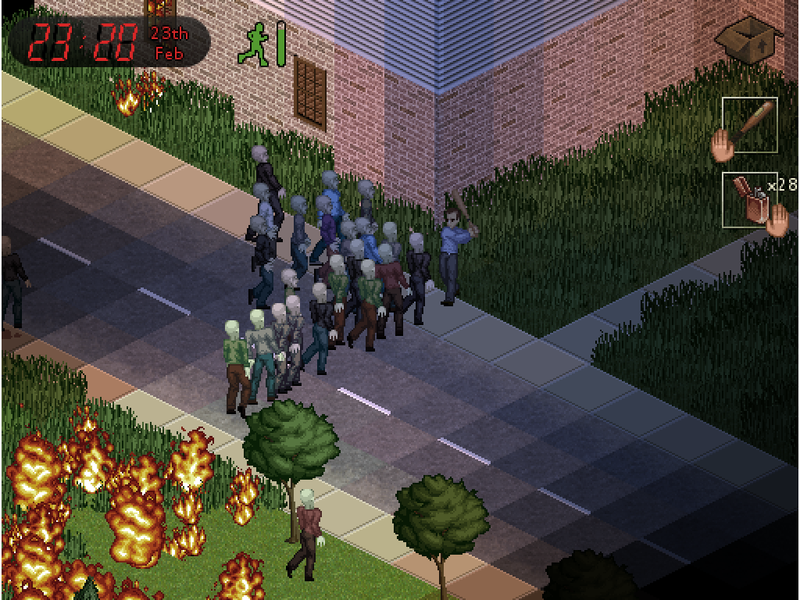 There are also large random zombie hordes roaming the game world. - Every building is able to be entered, barricaded etc. - Fire in a household can result in the house burning down and spreading (however I don't think it's fully fleshed out just yet). - One life policy (Once you're dead, you're dead or turn into a zombie, then you need to start over again. I believe this game is designed with the old arcade games in mind with high scores etc to see how long it is before you die (losing is fun!)). Give this game a whirl, it is difficult, it CAN be frustrating, but it's really fun and i'm looking forward to seeing what further implementations the developer will add. It is overall damn good and you will be surprised this is pre-alpha, I think of the dev team stays consistent they will have a masterpiece zombie game on their hands. Its a lot like rogue survivor, just a lot better. best game ever cant wait for more updates! - As azerty player, it was quite awkward playing the game. Maybe a preliminary control scheme window? - The beginning was a bit stretched too long if you are trying to figure out the game. I noticed it could be skipped with the escape key. But it skipped all text. Could be handy to just skip text sentence per sentence. Was really cool I got her out of the house but after a bit the game crashed. Are you not supost to get her out? It's really a good game ! keep working and update, it can be famous. Music department done a great job! Everything about it works really well, keep up the good work guys, I'd defo play this game for hours when its done! You just wasted my entire monday. But seriously, it's a great game, and I'll probably purchase it when you get the members only version out. And this is old, but the new interface is a huge improvement, I really like it. I like putting the pillow over the wife's face. Can't play the game, when i reach the "THESE ARE THE END TIMES", the game freezes and crashes. I was freaking out when I couldn't find the vote button. I'll be gentle since this is in alpha. Once i 2xclick the exe it opened as a window, i like this as i hate going fullscreen and having to do it windowed if i multitask. The intro was very nice aswell with the music in it i thought i would see a town full of zombies as the words came up but its stiil good. I like the sims kind of needs you need to do to make your self stronger or better at surviving, adds realism to the game..
No footstep sounds or voice acting? Very simple. WASD to move, Shift to run, Mouse to interact and move around. This is going to be a multiplayer game or singleplayer? As there is already some good feedback, I'll just chime in with a few immersion design issues that irritated me, whether or not you already have them planned. -the lack of a quick click for putting items into a storage container like fridges and other things, even though you can quick click them into your inventory. Drag and drop is an unnecessary old design; you know where you're putting things, and the game should too. -Why can't you kick down locked doors or break windows and crawl through? -in an area where there is so much rain that it can soak you, where are the rain coats and umbrellas? -where are the gardens? Seeds and things that you could grow if you live longer than a year? Why can't you survive to old age? -Because it's possible to live a year or more, where's the save? -Why does electricity still work months in? Who's running the power plant? -What about seasons? Hot and cold weather? -The Walking Dead raises a good point: Guns are loud. Wouldn't zombies be attracted to noise? -Where is your family? How did the character not notice the outbreak until there were herds? 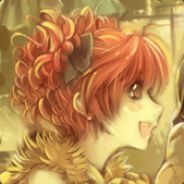 -Zombies seem to spawn as the game goes on, rather than having a set amount, which both causes lag from bodies and seems a bit unrealistic since towns only have so many dead. -Zombies get into houses after they've been cleared, and yet the doors are closed. -Rogue Survivor has some design ideas that may be worth a look. this is a funny game you know, but i hope we can play multiplayer on it soon and build houses of wood and stuff. It won't download when i go to game front.Someone help meh pls. how do I edit the textures?